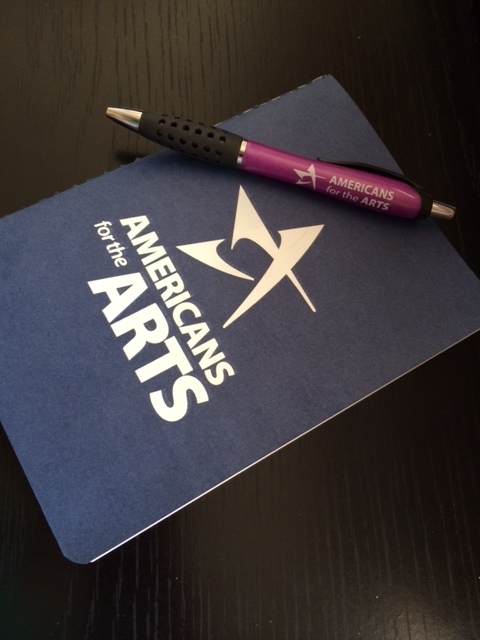 I recently attended the Americans for the Arts (AFTA) Annual Convention for the first time. Unlike the AIMAC conference (International Association of Arts and Culture Management) I will be attending next week, AFTA is not academically oriented. It also is very much its first name: American. The conference “centered on Power and Empowerment, and the role of the arts in empowering communities and individuals.” This concept of empowering individuals is unique to – or, more accurately, more prevalent in — the US than perhaps any other country. The Declaration of Independence was published the same year as Adam Smith’s Wealth of Nations. This is not a mere coincidence, but rather a confluence of Enlightenment thinking that has led us to believe, profoundly, that individual rights are paramount. With individual rights comes individual responsibility as well. The session I was asked to moderate at the AFTA conference was titled by the conference organizers, “How Can We Nurture Artists as Entrepreneurial Drivers of Creative Economies?” I suggested at the onset of the session that it is not the responsibility of the individual artist to drive the economy but rather that it is the responsibility of the artist to make art. I reframed the question as “How Can We Nurture Artists as Entrepreneurial Drivers of Their own Economic Lives?” In an economy built on the concept (rightly or wrongly) that individuals operating in their own self-interest will collectively serve the common good, we must give artists access to the knowledge, skills, and ability to maintain their creative practice in an economy that is not particularly friendly to them. This entry was posted in Arts entrepreneurship, arts infrastructure, Arts policy, Culture and democracy and tagged AFTA, AIMAC, Americans for the Arts, Assets for Artists, Beth Flowers, Carla Dirlikov, Pave program, Pave Program in Arts Entrepreneurship, Revolve Detroit, Spaceworks Tacoma, Springboard for the Arts, Theaster Gates. Bookmark the permalink.